The School of Medicine recently showcased the high quality of its undergraduate teaching staff at the annual Teaching Excellence Awards. The undergraduate School of Medicine hosted their annual Teaching Excellence Awards ceremony on Wednesday 14 November. 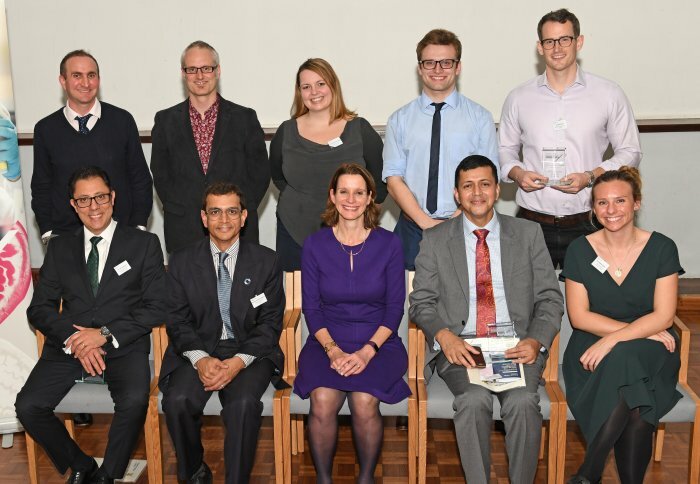 Hosted by Dr Joanne Harris, Deputy Head of the School of Medicine, the evening saw 16 of the School’s staff awarded accolades throughout the event. 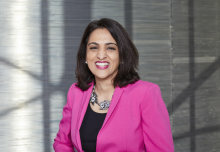 Introduced in 2003, the awards initially recognised NHS clinical teaching staff, but have evolved significantly to cover a broad range of School staff, including awards for: Non-clinical Teaching Excellence; Supporting the Student Experience; Teaching Fellow Excellence; and the most recently introduced Associate Dean’s award, given at the discretion of now Vice-Dean (Education) and Head of Undergraduate Medicine, Mr Martin Lupton. Decided and awarded in conjunction with the School of Medicine Students' Union, ICSMSU, the winners were presented officially with their awards by ICSMSU President for 2018-19, Dan Faehndrich. Staff at all levels and disciplines are recognised, with nominations opened broadly to encompass as many types of roles as possible, and eight clinical awards were presented this year, with winners from a number of different hospital sites and NHS Trusts. Each award-winner is introduced by the student that nominated them. Every year, the School awards a single Distinguished Teacher Award. This award can only be won by a nominee who has previously won a Teaching Excellence Award, displaying consistent excellent teaching and a remarkable contribution both to the School and to its students. This year’s winner was Professor Shahid Khan, Consultant in Hepatology and Gastroenterology at Imperial College Healthcare NHS Trust. Nominated by Year 4 student, Rain Li, and Year 5 Graduate Medicine student, Andy Cheng, their introduction highlighted Professor Khan’s commitment and dedication to medical education and praised his humour and engaging teaching style. The Associate Dean’s prize was awarded to the School’s Director of Teaching, Professor Karim Meeran. A professor of endocrinology, Professor Meeran’s contribution to the School was considered so great by the students that, rather than give a speech, the nominator, Year 6 student Mala Mawkin, put together a video of students past and present to congratulate him for his many years of effort. Personal tutors are similarly recognised for their significant input into the wellbeing of students throughout their time in the School, with awards given for both a Personal Tutor, covering Years 1 and 2 of the MBBS course, and an Imperial Tutor, covering Years 3-6. Dr Aaron Vallance, Consultant Psychiatrist, was awarded the Personal Tutor Award for his exceptional work with students beginning their Medicine journey, and Dr Frances Klemperer, also a consultant psychiatrist, was presented with the Imperial Tutor Award for her outstanding efforts with students in the later years of the course. Now into its second year, the BSc Medical Biosciences (BMB) course has its own network of personal tutors, and Dr Jahn Firth, Research Associate at Imperial’s National Heart and Lung Institute, was awarded the BMB Personal Tutor Award for his noteworthy support of students on the innovative course. The celebration evening each year also hosts an inaugural lecture, presenting a new Professor among the School staff. The lecture, part of Imperial’s 'Meet our new professors’ programme, was this year given by Ken MacLeod, now Professor of Cardiology at the National Heart and Lung Institute, as well as Head of Year 4 Assessment for the School of Medicine. 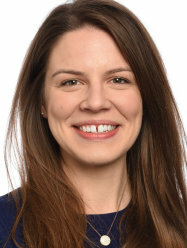 Professor MacLeod’s research focuses on cardiac arrhythmia, with a view to understanding the further complications from this on heart muscle that has been damaged through heart attacks previously. The lecture titled, ‘Tick, no tock: Understanding abnormal heart rhythm’ examined if the key to more effective management of heart conditions involving arrhythmia is a more rounded understanding of them at a cellular level. Since a major determinant of the risk of future events is the size, location and architecture of the scar tissue that replaces the dead heart muscle, Professor MacLeod’s research looks at how the scar tissue can disrupt cardiac conduction. With a Teaching Forum run throughout the day, involving speakers and workshops centred on education and innovative teaching, also at the Charing Cross campus, the events culminated in a dinner and drinks reception with entertainment from the ICSMSU Music Society's jazz band. Details of the 2019 Teaching Excellence Awards and Inaugural Lecture event will be available in the new year and listed on the College’s events page. If you were unable to attend the event, the awards ceremony and Professor MacLeod’s lecture are available to view on Panopto here for users with College login details.